Cutting a sharp contrast with the all-analogue productions on 2014’s Love Letters, Metronomy’s latest LP marks a return to the lo-fi electro-pop with which they first found fame. Here founding member Joe Mount explains the rationale behind his back-to-basics approach on Summer 08, and reflects on the eight years since their breakthrough record, Nights Out. Summer 08 focuses on the period immediately preceding and following the release of Nights Out. Why did you choose that particular period as your starting point? I mean, it wasn’t necessarily the starting point, but it was a nice way to say a lot without saying anything. 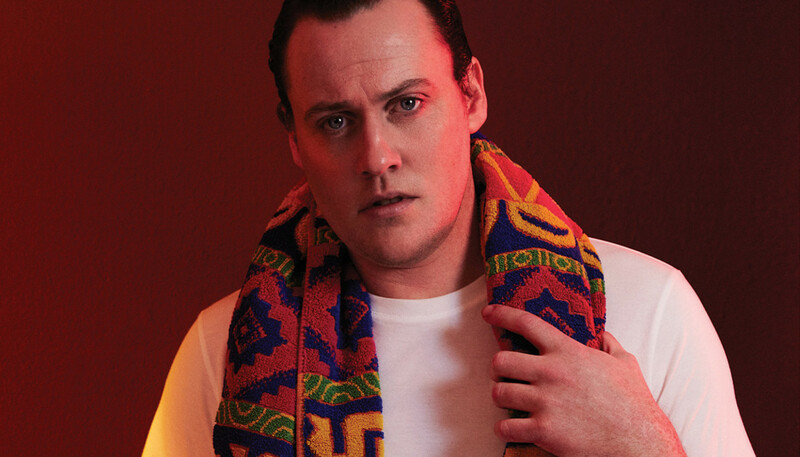 (Laughs) It was the year that everything started in a proper way with Metronomy. Nights Out was released that year and I went from being someone in a band to someone trying to make a band work: travelling and meeting lots of interesting people and spending a lot of time away from home. Everything since that has been the same, if you see what I mean. As you say, it was a period of intense change. Was it mostly enjoyable or were there challenges? Yeah, I guess it’s a success story so it’s been great. (Laughs) There are things that come with the territory of being away from your family a lot, but the irony is that’s what you dream of. It’s been fantastic, really. I’ve only ever seen anything that’s ever happened as positive. I feel crazy-lucky that I’ve got a career. Summer 08 also marks a return to Metronomy as a solo project. Was that a difficult conversation to have with the rest of the band? No, no, not at all. Because it wasn’t like me saying, “Guys, I want a break.” It was like, “I want to put out a record as soon as possible but I don’t think any of us really want to tour as soon as possible.” It’s funny because it wasn’t necessarily the intention for it to look like [I’ve gone solo]. I think because we’re not touring this year, and because when I’m talking about the album it’s just me, it looks like I’ve dumped everybody or something (laughs) which isn’t the case at all. It’s weird because some of the records are more just me, and the last one everyone was playing on it a lot more. I don’t really see it as being mutually exclusive: it’s an open relationship. I guess I just wanted to make a record in the same speedy and spirited way that I did my first two albums, just because I’m used to it and it’s quicker doing it on my own. The only real difference between this record and Love Letters is that there aren’t really many other people playing on the record. So it’s not really any more or less solo than the last album, but I guess coupled with the fact I’m not touring, it marks [Summer 08] as something a bit different I suppose. But I think everybody’s enjoying having a bit of a break from the travel, myself included. We’re all in the same boat. Writing an album with the knowledge you won’t have to tour it must free you up creatively? Yeah, yeah, yeah. Absolutely. I think everyone should really make records like that – without worrying about touring or how you’re going to play it live – but I think when you actually decide that that’s definitely what you’re going to do, it frees you. Just practically, you’re not thinking about how you’re going to do this bit live, which is very liberating. But in a way that’s more of an indication of how being a musician works now: it’s really hard to think about making a record without that crossing your mind. I mean, it’s weird because we love touring. It’s just [that] nowadays, the amount you’re expected to tour to promote a record is just really arduous. And I think if you asked any band if they liked touring they’d say yes, and if you said to them, “But maybe do you think you tour a bit too much?” they’d say yes. No-one [in Metronomy] hates it at all, but if you do it too much you can be pushed into a really uncomfortable position, you know? But luckily, we’ve not been pushed to that point at all. All I want to do is have a little breather. In the press release for Summer 08, you say you wanted to write, “Ten tracks, straight up, upbeat. Write another banger, then another, and don’t really think about it.” Can you expand on that please? I think I wanted to be very free and easy, in terms of what I was doing conceptually; I didn’t really want to think about it. I thought I was going to write some pop songs and try and make them dancey, though I guess I’m using the word “banger” to describe all kinds of songs, really. But I wanted to make an immediate record and something which didn’t take much thought to enjoy. I’m aware that the way that the last two albums were made was quite thoughtful, and on some level people needed to get into a frame of mind to listen to them or to think about them. I just wanted to make a record where you turn it on and you either like it because it sounds good or you don’t like it because you don’t think it sounds good, without having to bring any analytical stuff into it at all. Were there any reference points? Do you listen to other people’s music when you’re writing? Not intentionally or otherwise but I don’t really listen to the same kind of music that I make. But I do listen to little things that I like. I worked with Ash [Workman] who engineered the last three records, and we’ll often get into a situation where we end up playing each other songs that we like. But invariably it’s Taylor Swift or something. It’s never necessarily from the same world. ‘Mick Slow’ sounds like the sequel to ‘Side Two’, and you reprise the high-pitched vocals from ‘A Thing For Me’ on ‘Back Together’. Did you intend to reprise musical motifs from Nights Out? They’re intentional but they’re not supposed to be reminders of anything else. It’s still what I would instinctively do, though maybe on the past couple of records I’ve toned it down a bit. Definitely when I was recording I was like, “F**k it, I’m just going to do things how I used to do them, and not really think about it.” And so, yeah, you get these things like me singing in a high-pitched voice. I can’t really help it but I think it’s nice because it’s acknowledging all the people that have been with us since Nights Out. All those people are eight years older too, so it’s a joint remembrance. Could you tell us the story behind ‘Love’s Not An Obstacle’? The song was written with Melody [Prochet] from Melody’s Echo Chamber. She was writing her new album and she came round to my house to try and write some stuff together. We did a couple of songs and the main loop you hear on ‘Love’s Not An Obstacle’, which was on my computer for ages. I didn’t hear back from her and I was like, “Oh god, I really like it, and I feel like I’m about to use it unless she tells me that she’s going to use it”. So anyway, I thought, “F**k it, I’ll make a song,” and I guess I was thinking about making this sweet love song which is about sleeping around, really. The attitude of the song is supposed to be a bit like the attitude of a sleazy man, who is all romantic, but in a really perverse way. I’ve met lots of people like that, and that’s definitely something you see when you tour: these very clever, quite manipulative men who just enjoy breaking girls’ hearts, really. Robyn also appears on the album, on ‘Hang Me Out To Dry’. Did you know her prior to the collaboration? Yeah, yeah I did. I’ve known her for a few years, and I’ve been doing bits and bobs with her. Originally that track had an ‘A Thing For Me’-style chorus, but I thought it deserved a bit more than my attempt at being a girl, so I thought I’d get a real one. (Laughs) And especially as I had the opportunity to ask Robyn to sing on it, which is something I never had the opportunity to do before. And, again, I became most aware of her around 2007, so from my part there’s this imagined shared history. (Laughs) And I love her voice, you know? It’s a singular voice in pop music. A few years ago you worked on the Nicola Roberts album. Do you have any other production work in the pipeline? Well, I’m trying to do some stuff with Robyn. And, in fact, I think Nicola Roberts is getting together another album. But I think, for the time being, I’m still well into Metronomy and I don’t feel any huge rush to get into the other stuff. But I will do it, of course, if I’ve got the time and everything lines up right. Looking back to the period before Nights Out, how did your hopes for Metronomy then differ to what you’ve subsequently achieved? I think it’s weird because my expectations changed very quickly at the beginning. It’s always a confidence thing. And although you might feel like you have this potential, it’s not until other people start to see it that you begin to believe it. I think when Nights Out was released, that’s when I thought, “Ok, I can really do this. And I can take this as far as I want to go because I’m in control.” So I think it’s matching my expectations, though certainly with The English Riviera it leapt way above my expectations. But, I’ve only ever seen anything that’s ever happened as positive. I feel crazy-lucky that I’ve got a career.